Community Environmental Services, Inc. (CES) is a civil/environmental engineering firm specializing in sustainable civil-environmental site planning and design services. Founded in 1992, CES has specialized expertise with the design and management of decentralized and small community wastewater treatment systems. Related expertise and services include working with clients to achieve integrated and sustainable site planning, including maximizing use and protection of natural resources, beneficial reuse activities including composting and reuse of treated water, and water and energy conservation. CES clients include residential and commercial property owners, and public sector programs having existing or new wastewater treatment needs. We welcome working with those sharing a commitment to or interested in exploring sustainable resource management practices and environmental protections. • Avoiding odors and other nuisance conditions, including unsightly open treatment reactors. Our clients include resorts and hotels, restaurants, small communities, public parks, single and multi-family dwellings and condo complexes, and other commercial or publicly owned facilities. 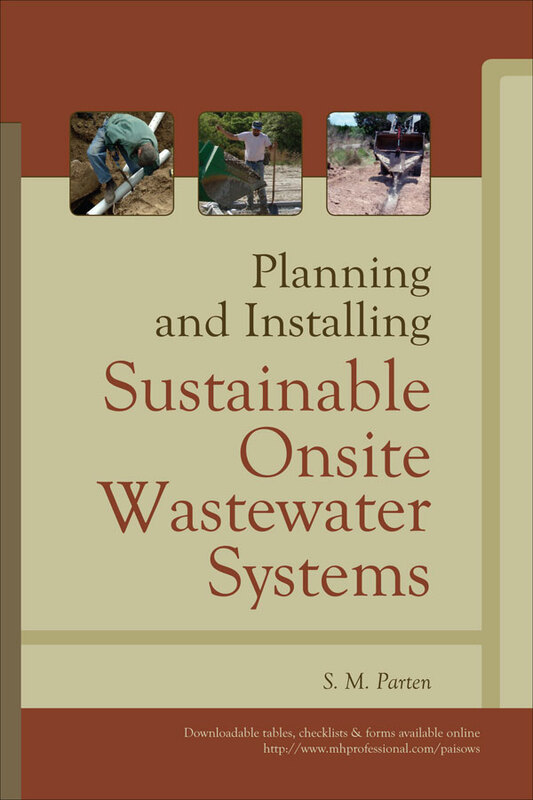 Planning and Installing Sustainable Onsite Wastewater Systems, authored by S. M. Parten of CES, (McGraw-Hill Companies, 2009), covers the planning / design and construction of sustainable decentralized wastewater treatment systems The book walks readers through sustainability considerations for decentralized systems, and explains why certain methods and materials tend to be more sustainable than others for certain conditions. With over 200 figures and photo illustrations, the book is a practical reference guide for small to mid-sized decentralized projects, and fills the gap left open by the general reports and articles on wastewater treatment systems. Easy to follow for a wide range of audiences including students, design professionals, regulators, and builders.